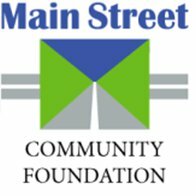 The Plainville Community Fund is a community-based, permanent endowment of the Main Street Community Foundation. This philanthropic vehicle is growing along with the town and has become an important community resource. Making Plainville stronger now and in the future! $8,500 in grants were awarded in 2015 to six organizations serving Plainville residents. Click here to donate now. Our motto is " Many showing others they care"